Stretchy patterned dress from CHIARA FORTHI. 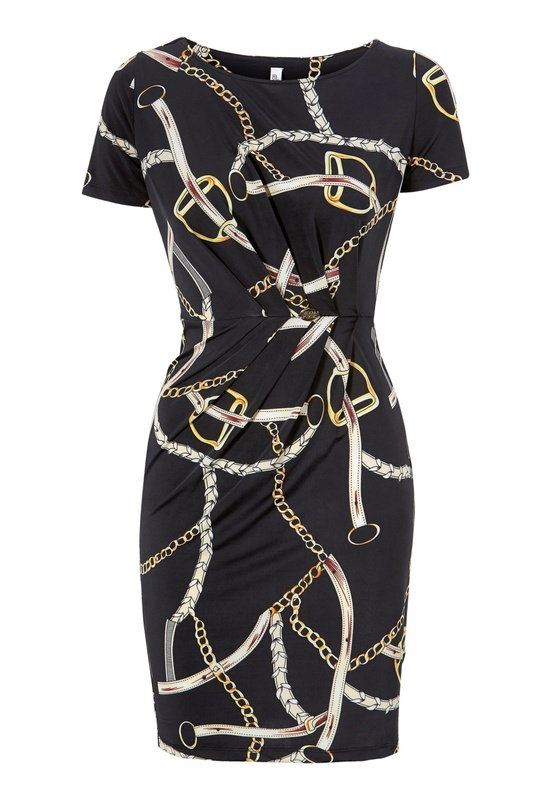 A dress with a printed chain pattern that shows off your figure in a flattering way. Slight pleats at the front and a gold colored metal logo on the waist seam. Total length of dress in size S: 89 cm.